CRUNCH! A X-Men: First Class sequel, and now Fox have revealed other planned reboots for Daredevil and The Fantastic Four. 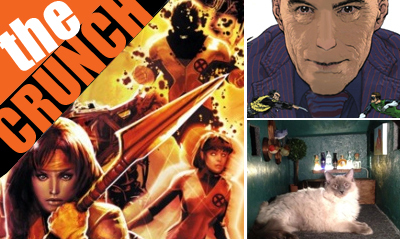 Also teasing upcoming news of X-Men spin-off films, and the term 'New Mutants' floated, I really hope Cable and Gambit are in there too. 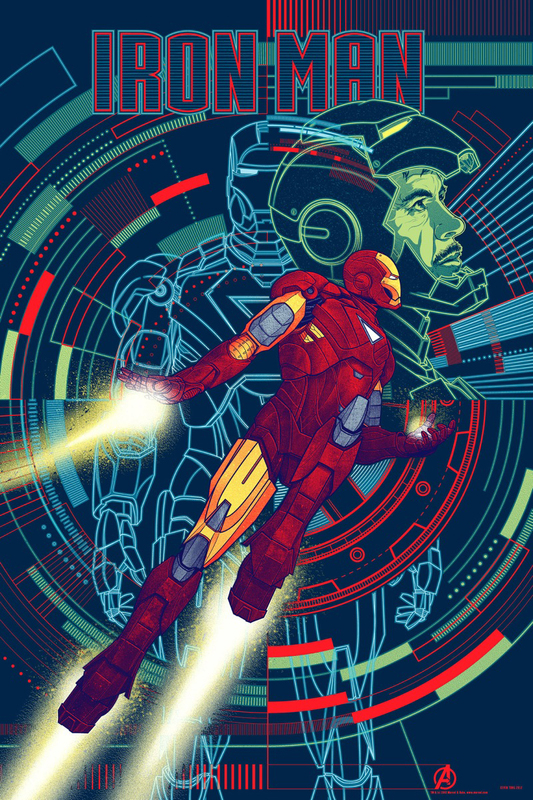 that Iron Man print incorporates some prime elements of good figure drawing and graphic design. glad to hear that Daredevil and The Fantastic Four movies might be getting a reboot. those were some pretty sh@#y comic book adaptation films. they should really draw upon Jonathan Hickman and Steve Epting's FF as inspiration on how to model a Fantastic Four film. That would be awesome Dave... imagine a kid like Franklin controlling a guy as huge as Galactus on the big screen (not like that vortex Galactus the last FF movie ran with). What a head in the sand move that was.